The complete collection of Grandma Zelda’s matchmaking advice from the bestselling Matchmaking Mysteries series. 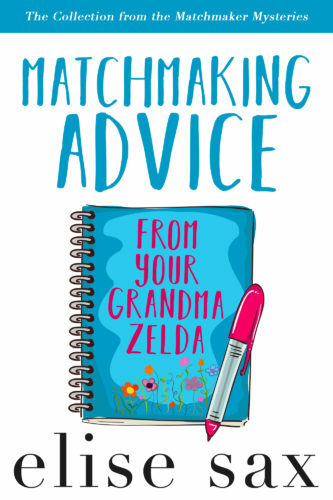 All of her words of wisdom are here, and as a bonus, Yiddish definitions and introductions by Elise Sax and Grandma Zelda are included. Zelda’s humorous words of wisdom about love and life are a shot of happiness, sure to brighten anyone’s day. Matchmaker Mysteries…Sometimes love comes with a few dead ends.